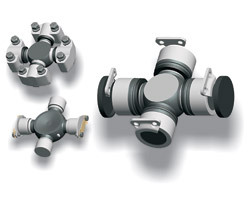 ZM’s OEM quality universal joints feature journal crosses that are manufactured from high quality alloy forgings and heat treated for maximum life. Our bearing cups are case hardened for strength and durability. These are among some of the reasons why ZM driveline components excel in performance and life. See more Driveline Components in our online catalog click here.